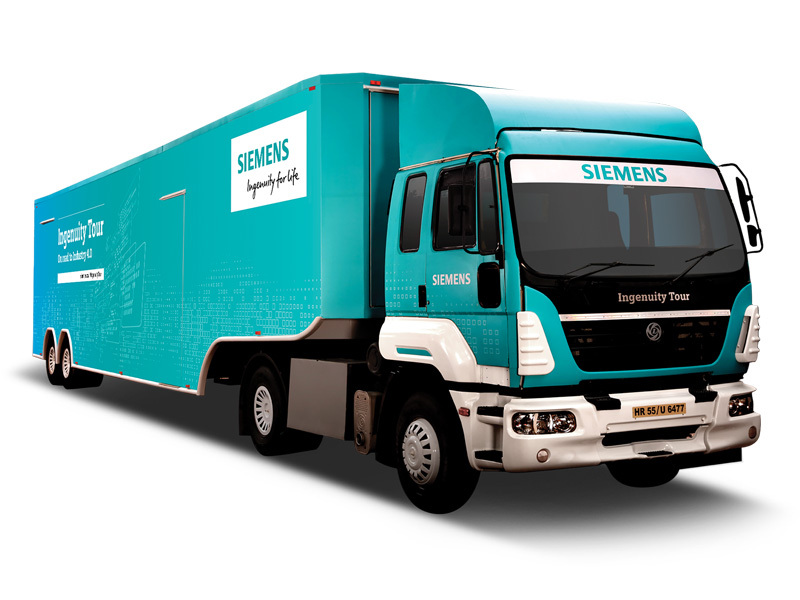 Siemens Limited flagged off and launched one of the largest industry initiatives, the ‘Ingenuity Tour’ from the iconic Kalwa factory located on the outskirts of Mumbai. The tour is mobilised in the form of a road show that will cover 23 states, 120 cities and travel more than 30000 kilometres. On display is a comprehensive array of latest products covering Electrification, Automation and Digitalization from the fields of industry Software, Automation, Power Distribution, Drive Technology, Digital & Cloud services, Industrial Training as well as customised Financing solutions. The tour is targeted at various industry verticals and demonstrates the competitive advantage that can be gained by adopting innovative technologies and solutions. “Siemens has been partnering the Indian manufacturing industry to become more agile, efficient, reliable and future-proof through our engineering, domain and digital know-how. Our focus is on helping our customers generate performance improvements across the entire value chain, from design to production and operations to maintenance. The Ingenuity Tour will bring our innovations live in action, right to the door step of our customers.” said Ashish Bhat, Executive Vice President and Head of Digital Factory, Siemens Ltd.
Digital technologies are transforming our world. The ‘Make in India’ initiative aims to boost the contribution of the manufacturing sector from 15% to 25% of the GDP, by 2022. To support this massive growth, India will need an ecosystem comprising of Tier 1, Tier 2, as well as the Tier 3 suppliers, with an elevated level of manufacturing performance and agility . “Digitalization is a top priority for us in Siemens and the Ingenuity Tour will help us engage and address challenges of our customers from various verticals and industry suppliers across the complete value chain. SMEs can utilize digitalization to address growing demands such as mastering increasing product and process complexity, reducing time to market, adapting to changing market requirements, deliver individualized products and secure continuous product improvement,” said, Bhaskar Mandal, Executive Vice President and Head of Process Industries & Drives, Siemens Ltd.